On Tuesday 24th September Lodge Stirling Royal Arch No 76 presented a cheque for £500 to "Rock Talk" a locally run charitable organisation which have been providing talking news and magazine features for the blind and partially sighted people in the Stirling area since 1982. 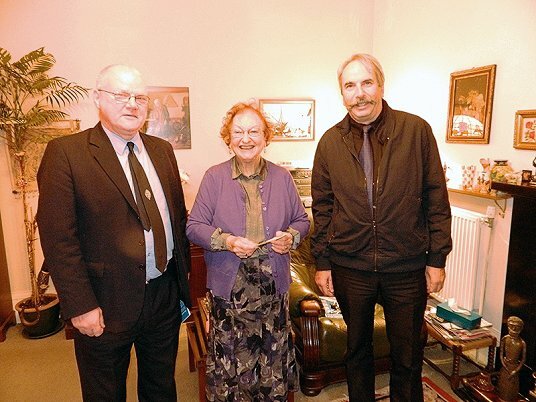 The picture below shows Mrs Ella Kennedy MBE receiving the cheque from Bro Jim Andrew RWM and Bro. Jim Fisher PM HPGB.